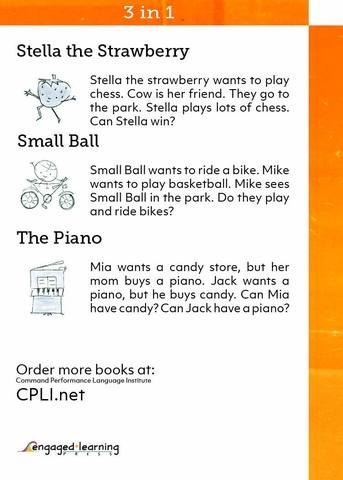 Stella, the strawberry, wants to learn to play chess, but Mike, who always beats everyone with chess, won't play with her. Stella doesn't stop there and goes on an adventure, a chess adventure. 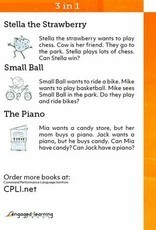 This story and two other ones, just as funny, help children who are just starting to learn English on their way. The Piano is written in easy to understand English. Often repeated high-frequency words and simple sentence structures help beginning learners to understand and aquire the language.